product design & identity The NowClock Company™ arrived with a fantastic concept for a simple clock that could help people live continuously in the present moment. Together, we created a clock face design and series of identity materials that would help to communicate the clock's simple message. 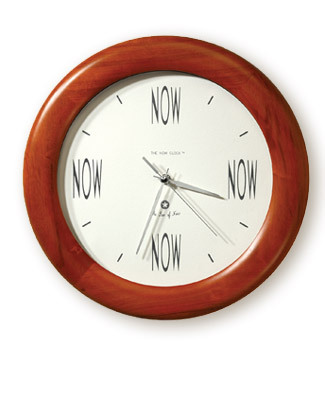 To accompany the clock we are developing a set of 'NowCards' printed with affirmations reminding us to be present.